The consortium working together to achieve the ONSIDE project brings together a selection of 11 partners from 9 different Member States having a recognised expertise, knowledge or interest to develop the area of sport officiating. Coordinated by EOSE, the partnership includes a unique combination of 3 International/European sport federations, 2 national sport federations, 1 national sports council, 1 national Olympic committee, 1 university, and 2 national associations of sport officials. In 2002, the European Observatoire of Sport and Employment (EOSE) officially registered in France as a not for profit association. Its secretariat is since based in Lyon. Over the years, EOSE has established itself as a respected, expert organisation in the Sector at a European level. It is seen as independent and objective and a facilitator and leader in skills development in the Sector. The scope of EOSE is understood to cover the whole Sport. EOSE acts at the European and international level with the goal to serve as a source of knowledge and a strategic facilitator to support the development of sport including employment, sports systems, developing standards, competence, qualifications and Vocational Education and Training (VET). Sports Officials UK (SOUK) is recognised in the UK sport sector as the umbrella organisation responsible for representing and supporting the education and development of sports officials across all sports in the UK. SOUK is a Membership organisation comprising National Governing Bodies (NGBs) of sport and associated organisations. SOUK sees its task as delivering qualified, enthusiastic officials and volunteers to support the legacy and sustainability programmes of all sports. SOUK’s overall vision is for every sporting performance, event or activity to have an appropriately trained match official, with the practice of officiating and volunteering in the UK recognised alongside playing and coaching in the development of sport. AFCAM was created in 1985 by a group of international French judges and referees from 12 different sports; now there are 72 sports and 246,000 individual members of AFCAM. The Association is officially a member of the CNOSF (National Olympic Committee of France). AFCAM also has strong links with the French Ministry of Sports and several other Ministries. The President of AFCAM represents all the judges and referees on a worldwide basis in the “entourage commission of the Athletes of the International Olympic Committee (IOC)”. The European Handball Federation (EHF) is the umbrella organisation for 50 member federations and two associated federations (England and Scotland) – stretching to all corners of the European continent with its headquarters in Vienna, Austria. Since its foundation in November 1991, the EHF has taken on the role of ambassador to European handball, acting as a common voice for the European member federations and representing the entire European handball family in national team and club competitions on the international sporting stage, including players, coaches, referees, delegates and many more. The EHF focuses its strengths and invests its resources on the development of the sport of handball in general with the overall objective to optimise product placement on the competitive sporting market, delivering the delights of handball in the form of high-profile branded events. The European Table Tennis Union (ETTU), was set up in 1957 in order to group, as the table tennis head body in Europe, the National Table Tennis Associations from the countries and territories of Europe. There are currently 58 Member Associations. The activities of ETTU include organisation of major events (Team and Individual Championships, Under 21 Championships, Youth Championships, Veterans Championships), administration of club Champions Leagues and Cups, delivery of courses, conferences and camps relating to talent identification, player development and training, coaching, refereeing and umpiring and National Association sport administration. Since its establishment in 1970, European Athletics has served its Member Federations by working to promote the sport of athletics (including track & field, cross country, road running, race walking and mountain running) throughout Europe. Its role includes staging championships and elite competitions, which provide opportunities for Europe’s top athletes to excel, showcase the sport, drive public interest in athletics and create the income necessary for other activities. It also includes leading 51 Member Federations and supporting their work in their countries as they reach out to engage more people and deliver all the forms and benefits of athletics. SportMalta was established by an Act of Parliament in November 2002 through the Sports Act 2002. The aims of the Act established that SportMalta is to encourage and promote sport through the various organizations by being both regulator and provider of services in the sport and active leisure sector, committed to supporting local sports from grassroots to the elite level. The mission of Sport Malta is moving a nation through the promotion and development of sport for a healthy, inclusive and successful Malta. SportMalta falls within the remit of the Parliamentary Secretariat for Youth, Sports and Voluntary Organisations as part of the Ministry of Education and Employment. The unyielding principles guiding the SportMalta Board are Integrity, Transparency and Accountability. The Sports Law gives SportMalta the responsibility to promote sport, to implement Government policy on sport, to register sport organisations and to establish dispute resolution structures. SportMalta is the main public promoter of the health, social and economic benefits generated by sport to society. The Netherlands Olympic Committee * Netherlands Sports Confederations (NOC*NSF) is the umbrella body for organized sports in the Netherlands. The 95 member organizations, including 76 sport federations, account for around 27,700 sport clubs with almost 6 million members, who make up almost a third of the Dutch population. The organization is responsible for sending sportsmen and women to represent the Netherlands at the Olympic and Paralympic games. The two main objectives are: Ranking among the top 10 best elite sports performing countries in the world; and increasing sports participation in the Netherlands with a minimal of 10 percent in the next 5 years. NOC*NSF is the partner for government in relation to sport and implements central governments sports policy. NOC*NSF counts about 160 employees. The Romanian Football Federation (FRF) is a non-profit organization established in 1909. FRF is the football governing body in Romania and is an UEFA affiliate. The institutional vocation of the FRF is to promote football all over the Romanian territory, to develop the football phenomenon in all its amplitude and to provide an organizational model for Romanian sports federations. The mission of British Wheelchair Basketball is to create, underpin and deliver a positive culture with quality life changing opportunities for people to play wheelchair basketball in all corners of the United Kingdom and to obtain the best possible performances for teams, clubs and each and every member. The National Sports Academy (NSA) is a specialized higher education institution in the Bulgarian university system with more than 70 years of history. NSA is the only university fully specialized in sports science in Bulgaria and one of the few sports universities in Europe. 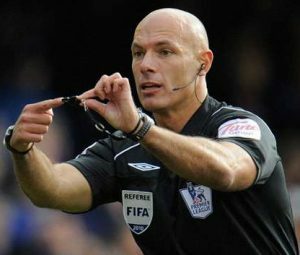 Howard is a former professional football referee who officiated in the English Premier League from 2005 to 2014. In 2010, he became the first person to referee the finals of both the UEFA Champions League and FIFA World Cup in the same year. Following retirement from active officiating in 2014 he has performed roles supporting refereeing and match officials in England, Saudi Arabia and the USA. Joy has a 15 year career as an international Ice Hockey referee, she was the first woman to officiate in the men’s English Ice Hockey Premier League and at the international level Joy has progressed to officiate at the Olympic Games where she officiated the 2006 Games in Torino, the 2010 Games in Vancouver, and the Olympics in Sochi where she refereed her first Olympic Gold Medal game in 2014. 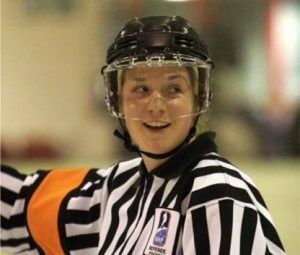 Joy is regarded as the top women’s referee in the world. Howard and Joy will support the ONSIDE project through reviewing draft outputs, regular consultation and raising the profile of the project.